Looking for kickass custom USAF t shirts ? 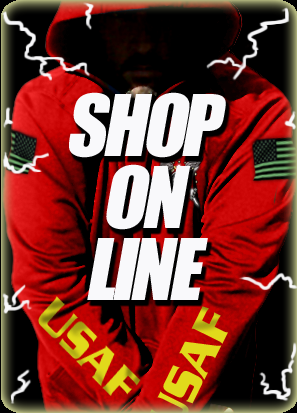 Air Force designs at Vision-Strike-Wear.Com are created in support of our men and women in uniform, their family, friends and those that support the freedoms of our country, America. Vision-Strike-Wear.Com takes design to another level with its unique and innovative Battle Rattle military design system. You can have the design the way you want it and watch it change in front of you as you select from a variety of different options. Sleeve art along with custom front left chest graphics turns these incredible graphics into a design that is one-of-a-kind. Your security type, cover, eye gear and weapon can be custom added to your military shirt and is printed to order. No one else have your shirt! Design your USAF K-9 T-Shirt or Other Air Force K-9 Apparel in REAL TIME. When United States Airmen want the best in designs displaying their role as security professionals, they call on Vision Strike Wear! Cutting edge, black and white or full color military apparel is what K-9 Security Teams are looking for. We put the creativity back into the customer’s hands by having custom text drops, more colors, more styles, sleeve art and Battle Rattle designs like this one. Transform your US Air Force t-shirt, for men or women or youth, in long or short sleeve, hooded sweatshirt, crewneck sweatshirt, tank-top, sleeveless shirt, shorts or sweatpants with not only a fully customizable military design but you can also select Upper, Lower or Full Sleeve Art. Real time graphic changes will show a graphic representation of the apparel on the screen as you build it. Check out this video on adding sleeve art to any design. Vision-Strike-Wear.Com also specializes in small and large unit custom military graphics for deployment shirts and commands. Custom designed military graphics with 10 piece minimums, multiple color options, mixed shirt colors and sizes, shoulder and sleeve art, custom text and more can be found when working with the design team of Vision-Strike-Wear.Com.